Modern storytelling exists under the umbrella of film. For more than a hundred years, film has been the American audience’s most culturally significant way of connecting with stories, more so than literature or even television; as opposed to video games which are very young in the world of art and storytelling. Though the gaming industry has now financially become the largest aspect of the entertainment industry – surpassing film and music quite handily – in the eyes of critics and most of its audience, gaming still lags behind films in the quality and presentation of storytelling. Throughout this adolescent phase of video games, we have consistently seen attempts at emulating movies. Read any review about a game like Mass Effect or Uncharted and you will probably run into the word “cinematic”. Why are video games constantly compared to movies? Are video games doomed to live in the shadow of film, or can they forge their own unique storytelling voice? The comparison between film and video games comes from the way in which modern audiences consume stories. Film has taught each of us the basic building blocks of story and story structure – heroes that take action and go on an adventure, overcome obstacles and learn about themselves, and a conclusion that allows our heroes to achieve their goals, having changed. Of course, these ideas are much older than film; they are as old as humanity. However, the 20th century was dominated by film in the arena of storytelling and has thus influenced audiences the most. The men and women who create the games we all enjoy were influenced by these films as well. Without Star Wars, we may not get Mass Effect. 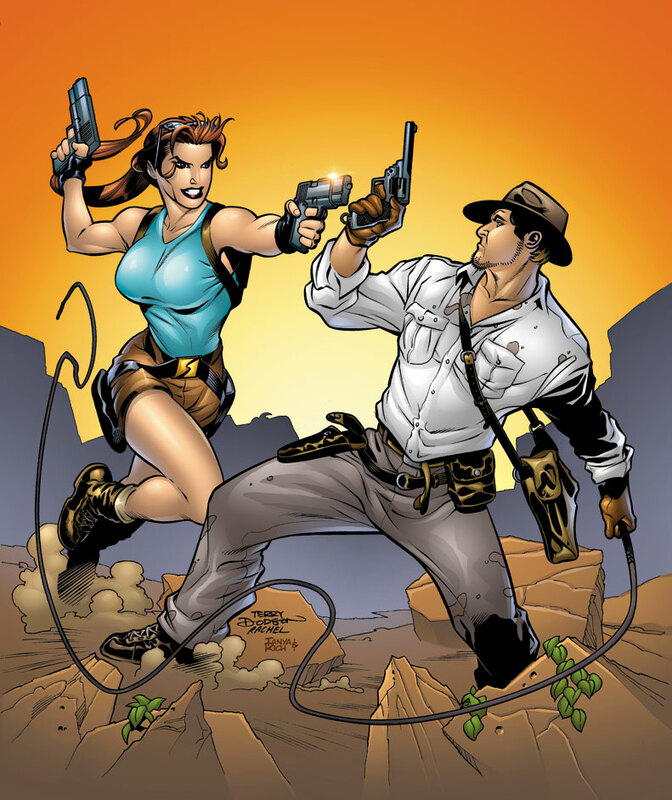 Without Indiana Jones, we may not get Tomb Raider or Uncharted. Without Alien, I’m assuming we might not have Alien: Isolation. Is it possible that these games exist without their film counterparts? Yes. However, not only are the influences clear while playing, but the ideas and themes found in some of these films laid the groundwork for the games to expand upon. Movies and video games are similar in their most basic form – visual presentation to create an entertaining and hopefully emotional experience for an audience. Because of this, the influence of film on video games is neither surprising nor necessarily bad. The extent of which that influence reaches is where we begin to see video games succeed or fail. Despite the positive influences of film, the negative aspects are clearly visible as well. Far too often a gamer will reach moments in a game where control is ripped away from us and we watch a video of our character doing super awesome things we would love to be a part of, but instead are now regulated to the role of spectator. Cut scenes in video games, while not always bad, undercut the very thing that makes video games unique – interactivity. That’s the major element of gaming: being able to thrive in worlds and circumstances we may not experience in real life. We’re not just watching someone else’s life unfold while playing, we’re making choices and making moves that make us feel responsible for what’s happening. Other times we’ll see video games attempting to tell a story in a way that mirrors film, despite games typically being much longer, resulting in missions and quests that feel like filler or unimportant to the real story. Unless otherwise stated, gameplay should be the focus of a game, not the ninth song on a twelve song album. Gameplay is the pre-released solos, so we need something with which we want to engage. Any time a game developer attempts to make players feel like they are in a movie, they fundamentally undercut the unique aspects of gaming as a medium – immersion and interactivity. Games like Mass Effect and The Walking Dead have begun to capitalize on the emotional impact you can have on an audience when you allow them choice, creating personal connections with the characters in the game. While these games were certainly not the first to attempt this, they are currently the ones doing it best and allowing gamers a form of immersion that most do not. 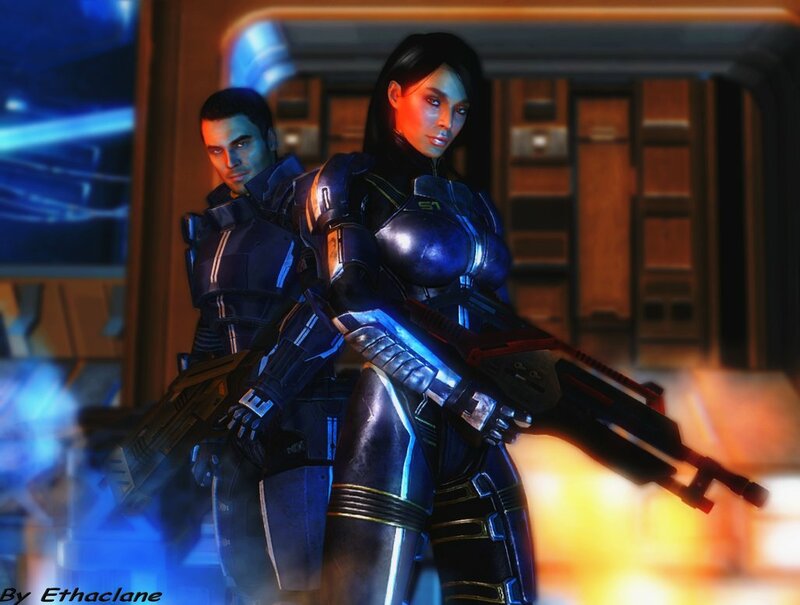 When we are forced to choose between Kaidan or Ashley or between fighting a zombie horde or running away, we become immersed in a way that other art forms can’t offer. We are allowed to move from a passive observer to an active participant, giving us an unprecedented level of interactivity. Games become more than just something we consume, but a unique collaboration between the developers and their audience. How do you choose?! Image by Ethaclane on Deviantart. Advances in technology will be a key partner in the future of video game storytelling. Oculus Rift and other virtual reality (VR) companies are vying to bring a brand new experience to gamers around the world. VR gets us even closer to full immersion, a step that will again allow the gaming industry to highlight what makes gaming unique from other art forms. Allowing gamers to stand in the shoes of a hero rather than merely controlling one breaks down another wall that stands between an audience and the art they are experiencing. We will fight dragons, pilot spaceships, leap out of buildings, shoot zombies, form relationships…everything that film and TV merely present to the audience we will have the chance to actually perform. The possibilities are truly endless. A .gif from the Oscar winning film, “Birdman”. We are all watching the video game industry grow up, and as with most things that go through that awkward, pimply phase, there have been and will continue to be growing pains. However, we are also witnessing some of the most exciting and groundbreaking projects that the video game industry has ever put forth. Thanks to advances in technology and the creative minds now flocking to video games as a medium for storytelling, the time has come for video games to emerge as the pioneers of a new kind of storytelling. A new wave that allows for an interactive experience with the audience, creating engagement at a level that is impossible for any other art form to achieve. Video games can acknowledge their roots in film and, firmly grasping the lessons learned from that medium, move the idea of modern storytelling forward in ways that have never been imagined. Tucker Poindexter is a guest writer for Ignite Gaming Blog. He is a graduate of Columbia College Chicago whose passions lie in directing and writing for film. For more writing, witty commentary, and a bit of sarcasm, check him out @TuckDeanPoin on twitter.